 "The People's Court," produced by Ralph Edwards/Stu Billett Productions (the producers of the original series which ran for 12 years), draws on ordinary people who have filed grievances in civil court and have opted to have their cases heard and mediated by Judge Milian. An experienced team of researchers ... More continually canvas courts across the country in search of the most compelling, unique and thought-provoking cases. Running the gamut from disputes between neighbors and family members, to dissatisfied customers suing businesses, Milian's decisions – based on current law – are final and binding. "These cases are never about the money, they're about principle," Milian proclaims. "The People's Court" has been delivering reality television to viewers for over two decades. "The People's Court" is a nationally syndicated television court show that is taped at the Connecticut Film Center in Stamford, Connecticut. The taping of this popular long-running reality TV show features ordinary people, from all walks of life, who have filed grievances against other parties in civil court and then choose to have their cases heard/mediated on The People's Court TV Show by the Judge Marilyn Milian. The People's Court has been delivering reality television to viewers for over three decades beginning with the no-nonsense Judge Joseph Wapner in September 1981. Doug Llewelyn was the court reporter who summarized each case at the end of the show. The first version was based in Los Angeles and ran until June 1993. A team of researchers canvas courts across the country in search of the most compelling, unique and entertaining cases. The litigants all agree to have their disputes settled on "The People's Court." The decisions, based on current law, are final and binding. Judge Wapner's original "The People's Court" ran from September 1981 before being cancelled in June of 1993. In 1997, the show was resurrected and production was moved to New York City. The first judge on the bench was former NYC mayor, Ed Koch. Two years later, Jerry Sheindlin, husband of Judge Judy, took over the courtroom. 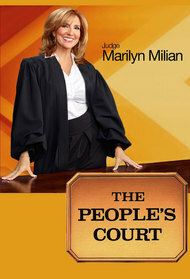 In 2001 Judge Marilyn Milian took over the bench and is still dispensing justice on the Emmy award winning program. In 2012 the show moved the studio to it's current location in Stamford, Connecticut.